My own wedding back in September has left me with a real passion for the wedding industry in the North East and the beauty of writing a blog has meant that I'm able to indulge myself in all things wedding even though I'm no longer planning one myself. Today I'm very excited to tell you all about weddings at Lumley Castle in County Durham. Simon and I fell in love with Lumley Castle when we went to an Elizabethan Banquet in their gorgeous Banquet Hall a few months ago. Pulling up the driveway and having our first look at the beautifully grand hotel I will admit my mind immediately turned to weddings - Lumley Castle is a stunning venue for your big day, and really does look like something out of a fairytale. I'm sure so many couples dream of spending their special day as a Prince or Princess and weddings at Lumley Castle really have everything you could ever want to make the dream a reality. From turrets and towers to four poster beds and grand staircases, there really isn't any other wedding venue in the North East quite like it. 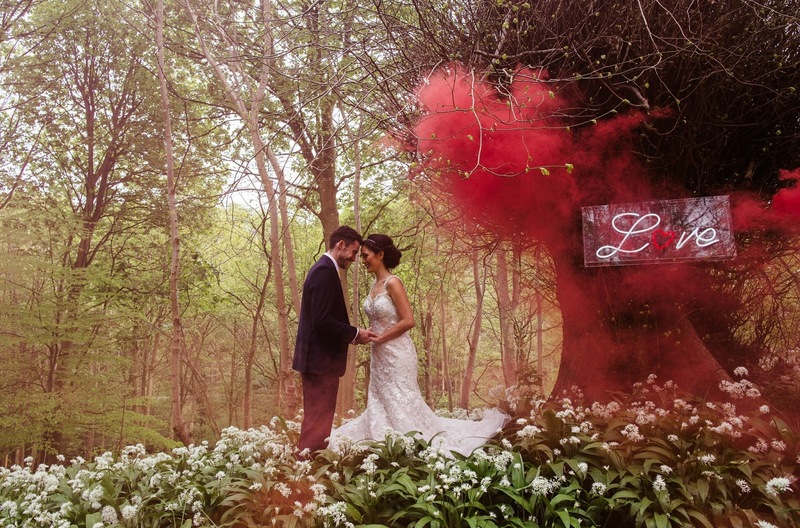 This is no ordinary wedding venue! We started our tour by looking at the ceremony rooms available at the Castle and we were impressed by the choice. 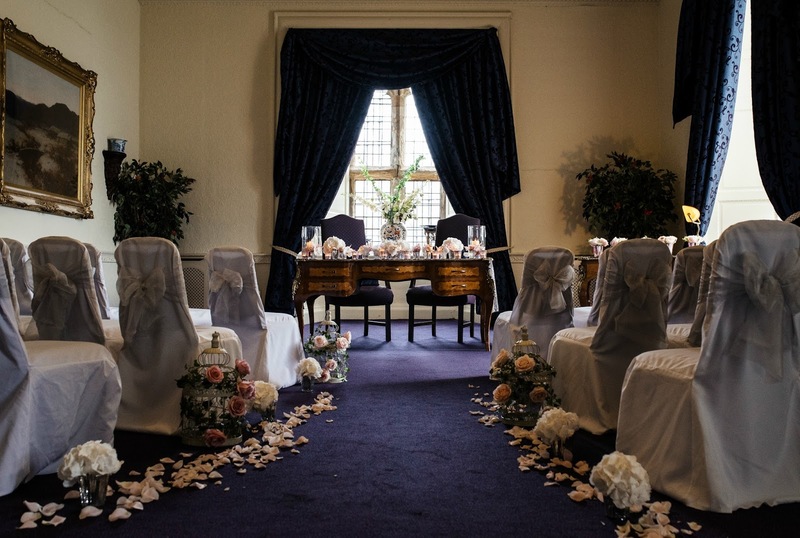 Most wedding ceremonies at Lumley Castle are held in the stunning Scarborough State Room complete with feature fireplace, plush furnishings and huge windows overlooking the beautiful County Durham countryside. Thinking about walking down the aisle in the Scarborough State Room gave me goosebumps and made me wish I could have my day all over again. 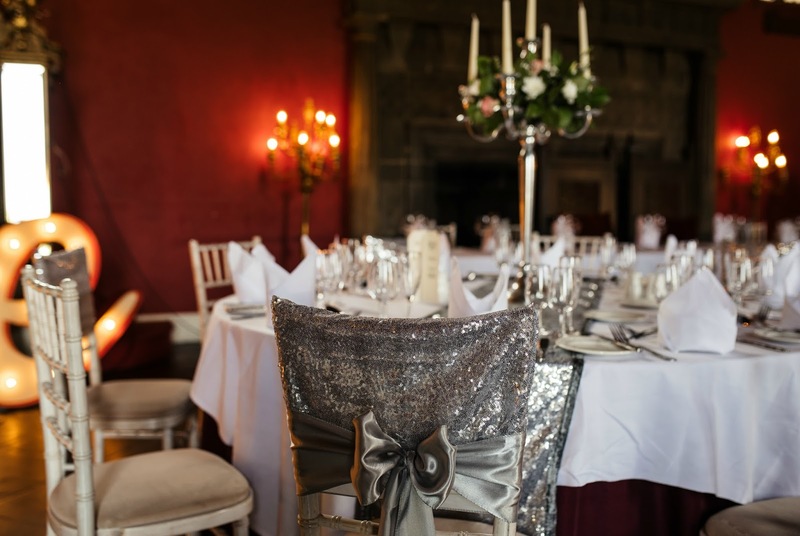 Weddings of all sizes are catered for at Lumley Castle with a choice of seven state rooms available for wedding receptions perfectly suited for small weddings of 12 people right up to huge celebrations with 132 people. The thing that really struck us on our tour was how gorgeous each room was - they were all so different from each other but equally stunning. Walking through each door into the rooms literally took our breath away and I could only imagine how special it must feel to be announced as Mr and Mrs at Lumley Castle. 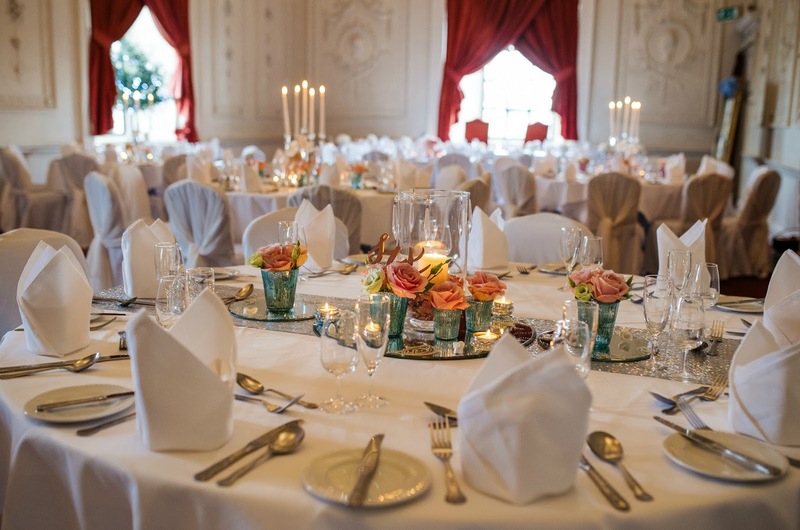 Whether you want the fairytale dream of the Garter State Room, to become a Lord or Lady of the Castle in the romantic Barons Hall or just fancy a quiet family affair in the Northumbria State Room there's a room to suit every taste. 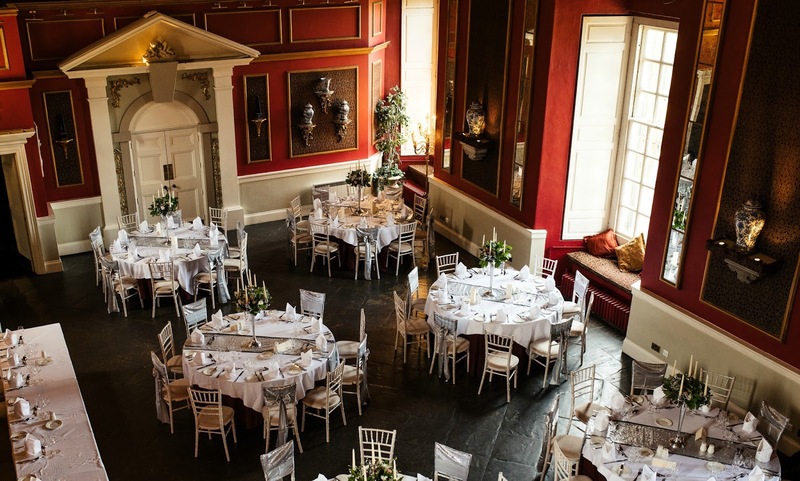 My favourite room is definitely the Barons Hall, its red walls and white and gold features give it an air of royalty and I think the Bride and Groom would feel very special sitting at the top table in a room like this. A posh affair for a King and Queen, a Medieval Banquet or even a Game of Thrones themed do, this room is the ultimate space for a wedding. 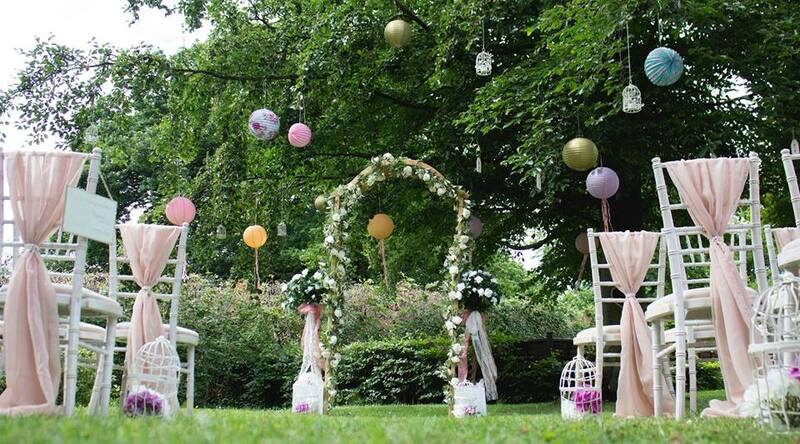 If you prefer the idea of a beautiful English countryside wedding then the Baron's Garden at Lumley Castle is a beautiful location with plenty of overhanging trees to hang lanterns and lights and an aisle that can be festooned in beautiful flowers. 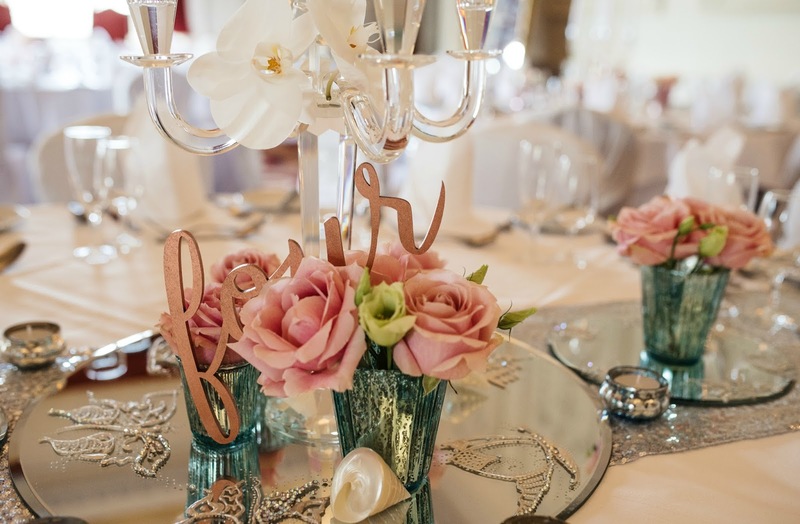 Lumley Castle have some great Wedding Enhancements to make your day truly special and give it that extra little touch of magic. 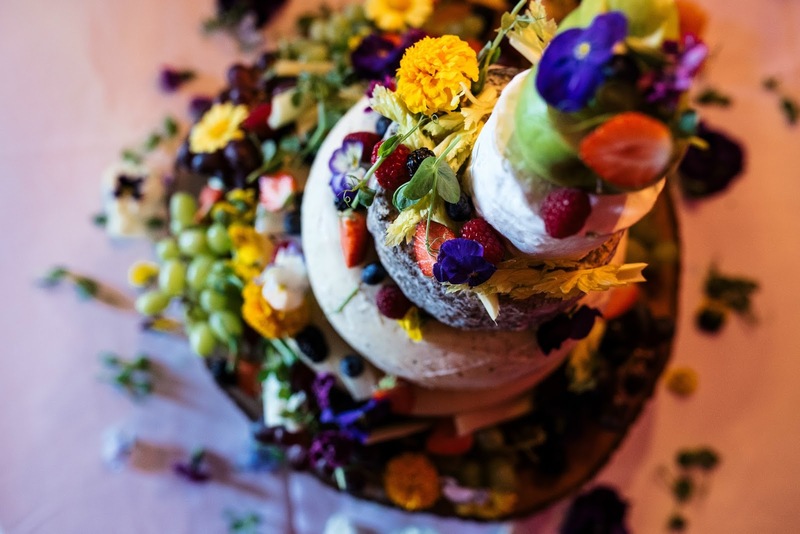 From a savoury four-tier cheese cake to a Victorian post box and a candy cart they have it all. How about hiring the Ladies of the Court to sing at your reception or maybe ask the Traditional Scottish Bagpiper to welcome your guests? My personal favourite that we discovered on our wanders were the added extras that really bring the grandure and magic of Lumley Castle to life. We were very lucky to meet Bilbo the Barn Owl who can act as ring bearer, delivering your rings in a real showstopper moment. 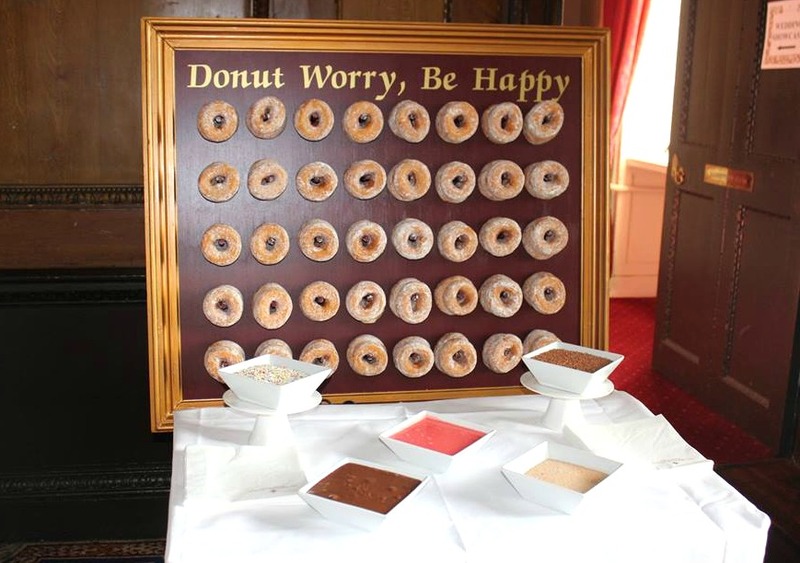 If you asked my husband what his favourite wedding enhancement was he would definitely say the Donut Wall where your guests can help themselves to a donut and then smother it in as many sauces and toppings as they fancy. A great way to keep guests entertained and well fed! The problems I had keeping Simon away from that donut wall! The wedding team at Lumley Castle have a great sense of fun and adventure so if you have an idea for your wedding that is a little unique or whimsical they should be able to help you. From Mad Hatter's Tea Parties featuring enchanted tables to flash mobs and petting zoos! These guys are ready to create your perfect fairytale! Set in 9 acres of parkland overlooking the River Wear. 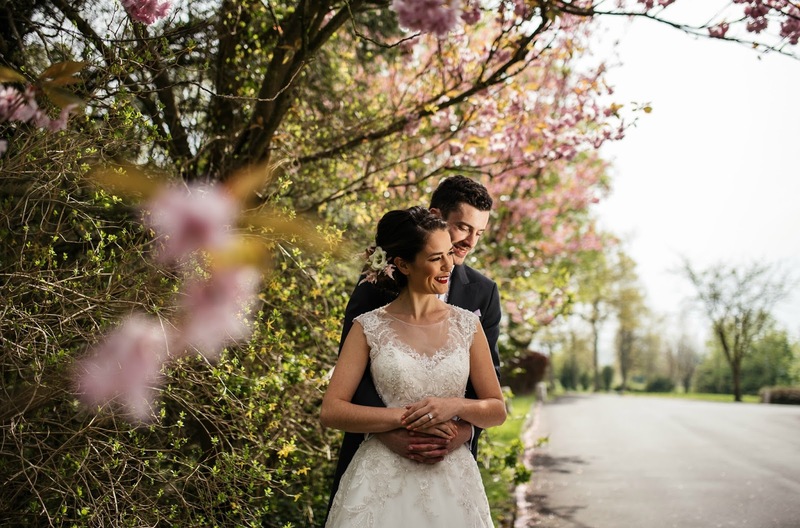 The exterior of Lumley Castle provides some stunning backdrops for wedding photos right on the doorstep meaning less time getting the perfect shots and more time to spend with your guests. Our afternoon ended with a nose round some of the bedrooms at the Castle and this was probably the moment where I truly fell in love. The bridal suite is stunning! Hugely romantic, the luxurious room is decked out in reds and golds with the huge four poster bed the main focal point. It immediately made me think of the Princess and the Pea, I'd only ever seen a room like it on TV before and Simon really had to hold me back cos I so wanted to climb into the bed and snuggle down for the night. Each bedroom at Lumley Castle is completely different and each has its own charm. 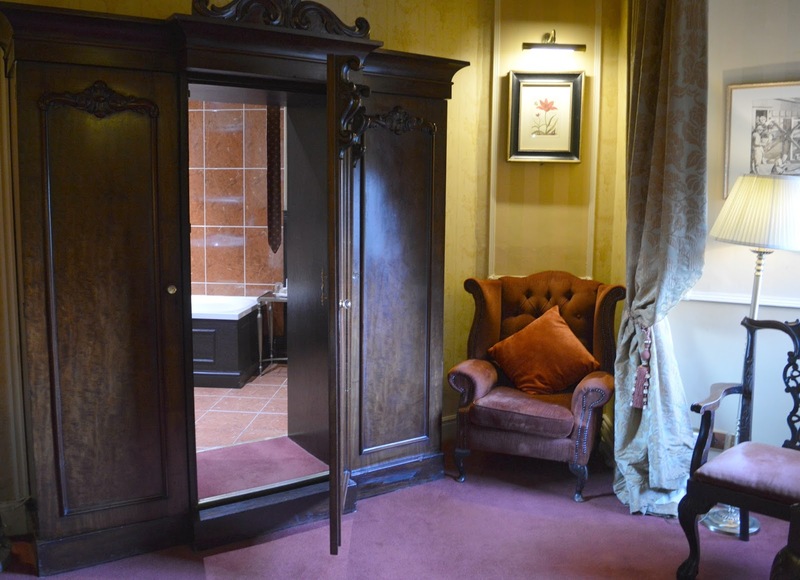 Whether its a bathroom hidden in a wardrobe (that blew my mind! 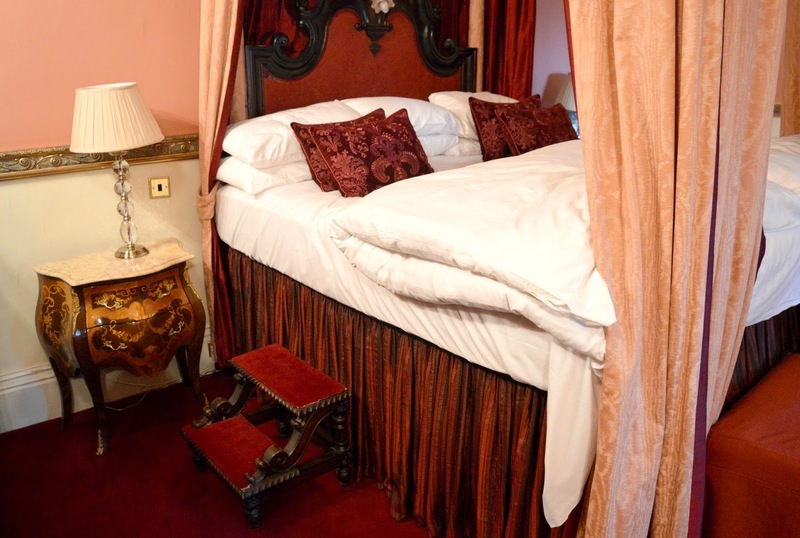 ), a beautifully ornate sink or a huge four poster bed - there are 73 bedchambers to choose from and each is the perfect mix of ancient history and modern luxury. A definite way to impress your guests and ensure they get a night to remember at your wedding. Having planned my own wedding last year I know how the cost of weddings can make your eyes water so you may be surprised to hear that weddings at Lumley Castle cost from as little as £50.00 per person. There are plenty of packages available to suit the size of your celebration and budget and their prices are a lot lower than a lot of the other wedding packages I've seen at hotels. To inquire about weddings at Lumley Castle or to arrange a visit telephone 0191 389 1111 or e-mail weddings@lumleycastle.com. Let me know if you plan to get married at Lumley Castle or have ever been to a wedding there, I'd love to hear about your experience.